Ride like the wind no matter where you go! With the Allen Sports Premier 3-Bike Trunk Carrier, you can take your trusty bicycle with you on every trip you take.This bike rack makes transporting your bike to the nearest bike path so much easier. 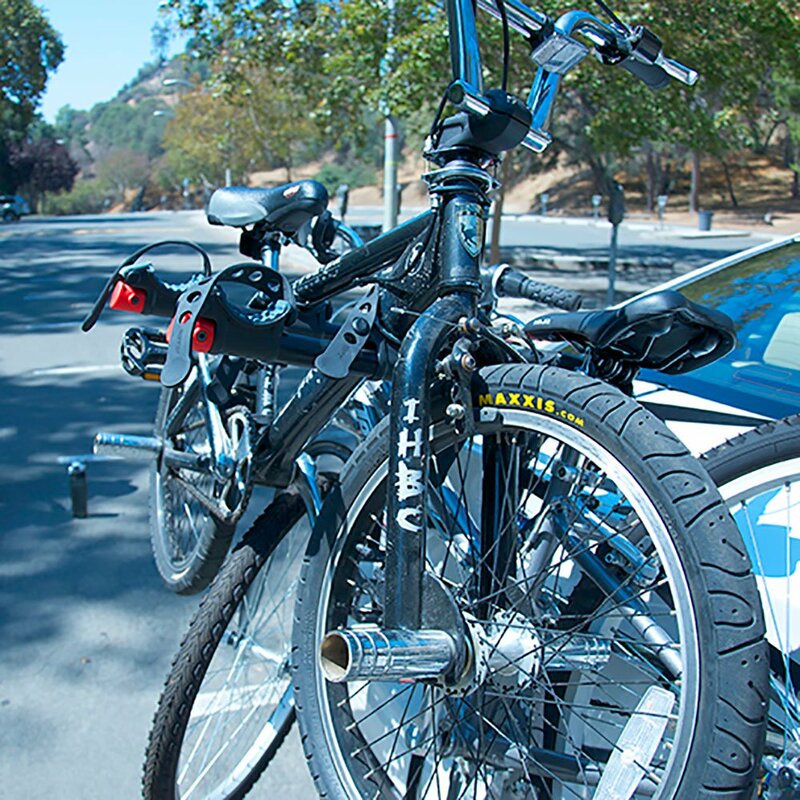 Just load up to three bikes on the rack, drive to your destination, and ride like there's no tomorrow.This bike carrier features various safety mechanisms that ensure your bike's security. It has side-straps for lateral stability, along with new tie-down cradles and straps that individually secure and protect your bicycles.The Allen Sports 3-bike carrier also easily folds down when it is not in use. Plus, with its black powder-coat finish, the bike carrier can withstand the elements.Treat yourself to the convenience of a bike ride no matter where you go by taking the Allen Sports bike carrier with you on your next adventure.